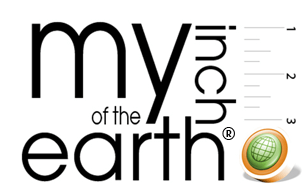 Web and mobile solutions designer TerraYebo has launched MyInchofTheEarth.com allowing people to claim any virtual piece of the earth or ocean while supporting worldwide causes and nonprofit organizations. To celebrate the launch, the company has announced a cause marketing effort where people can use MyInchofTheEarth.com to claim their virtual square inch of America’s National Parks and post a picture and story to help explain why the place is so important to them. Each square inch of America’s national parks is available to claim for a donation of $1 a month; paid annually, with proceeds supporting the National Park Foundation. This clever campaign provides the gift that keeps on giving to the National Park Foundation. In addition to drawing attention to National Parks, users sign up for a donation that renews annually. This technology brings dimension and meaning to the intangible and could provide brands with another interesting way to combine their messaging with a cause and would make for a turnkey matching donation platform.